Recently released data from the Fresh Graduate Pay Survey 2013 by global management consultancy Hay Group shows that Singapore university graduates from the class of 2013 will earn 2% higher than their peers from the 2012 cohort. However, a study by employer branding consultancy Universum showed that students expect more. Analysis by Singapore company registration specialist Rikvin shows that the salary expectations of graduating Singapore university students are closer to that shown in the Graduate Employment Survey (GES) released by the Ministry of Education in March this year. The Universum survey, showed that 6000 students expected an average of S$3,349 as their starting monthly salary. The survey was conducted between December 2012 and May 2013. In the GES, fresh graduates in full-time permanent employment earned a mean gross monthly salary of S$3,260. Some, who studied Architecture, Biomedical Science (Traditional Chinese Medicine), Law, Medicine and Pharmacy earned as much as S$4,465 per month upon graduation. The survey was conducted in 2012. It will be increasingly tougher for overseas fresh graduates to get an employment pass. 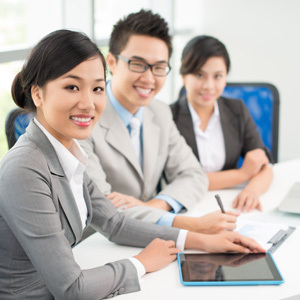 However, their chances will improve if they demonstrate niche skills and background that is not available in Singapore. According to Hay Group, graduates from the class of 2012 saw their average starting monthly salary begin at S$2,688 for those who graduated without Honors and S$2,776 as well as S$2,843 for those who graduated with either Second Lower or Second Upper Honors. This year, the survey, which consolidated responses from 130 organizations in May 2013, found that the average starting salary of fresh graduates in Singapore ranged from S$2,714 for Bachelor Degree holders without Honors and S$2,822 and S$2,876 respectively for those who graduate with Honors (Second Lower) and with Honors (Second Upper). Jobs in Project Management commanded the highest average starting monthly salary for graduates (S$2,906), followed by Engineering (S$2,885) and Research & Development (S$2,788). The survey also showed that employers place a premium on candidates who graduated with First Class Honors over average degree holders is 11.5%. In addition, 33% of employers surveyed said they provide an average premium of S$189 per month as an incentive to male employees who have completed National Service.